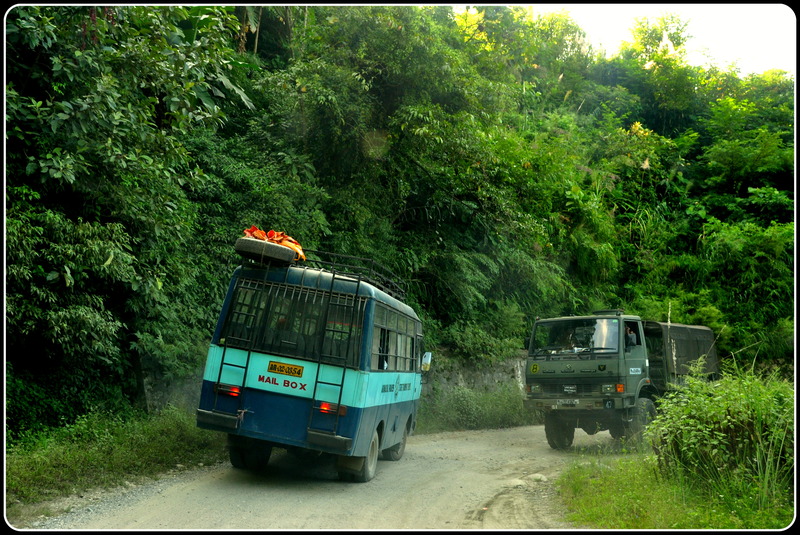 In 2011, in the month of October, we spent 21 days in the north-eastern states of Assam, Arunachal Pradesh and Meghalaya. I am publishing a few posts this October to mark the anniversary of our travels on those lesser trodden paths. 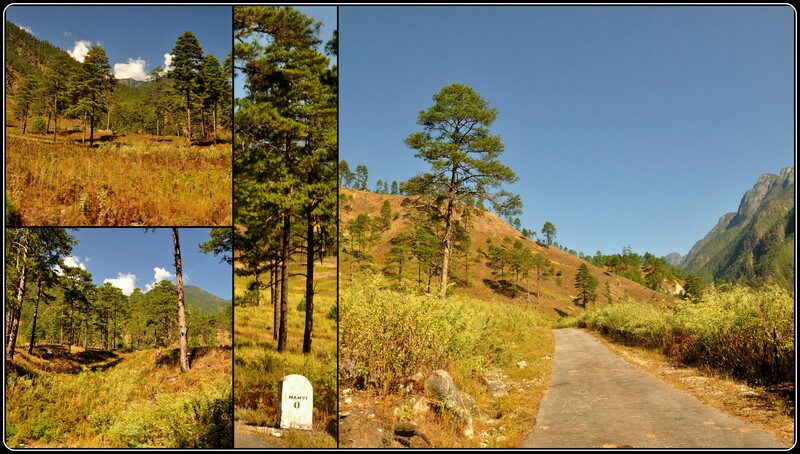 It is a year since we traveled to the north-east, but there is not a single day that we are not reminded of the beauty and the magic of the place. 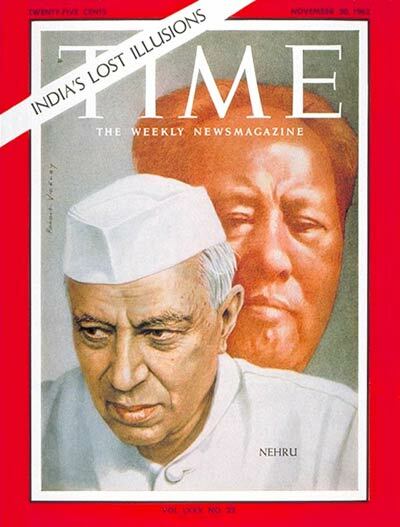 On a cold night in the month of November, way back in 1962, when the whole of India was slumbering under a cosy woollen blanket enjoying the early winter temperature, a few weary soldiers were battling with whatever remained of their last energy trying to fend off the enemy from the north-eastern most corner of their mother land. 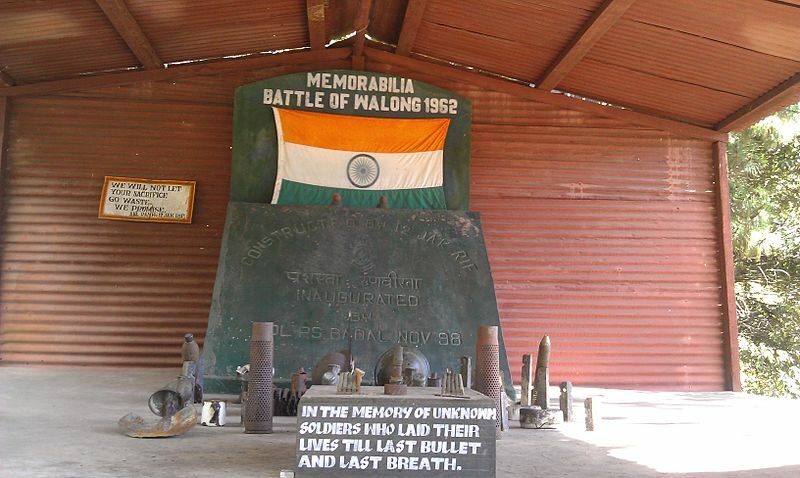 The ‘Battle for Walong’ was about the worst of fighting conditions – cold weather, treacherous terrain, outnumbered troops, ‘orders’ that never reached and a slimy enemy – all weighing heavily on the Indian soldiers. For 22 days, they gallantly fought with limited resources, but with unlimited ferocity and aggression. 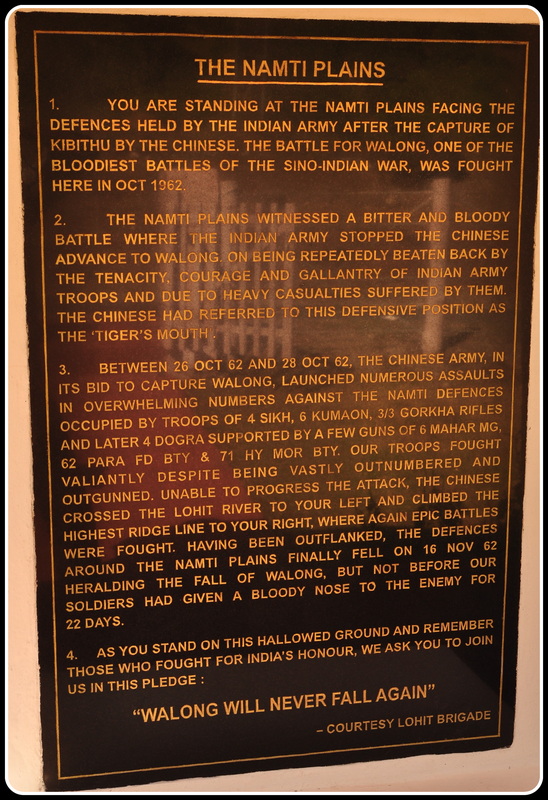 Eventually, the Chinese crossed the Lohit River and completed the ‘Fall of Walong’ on the 16thNovember, 1962. 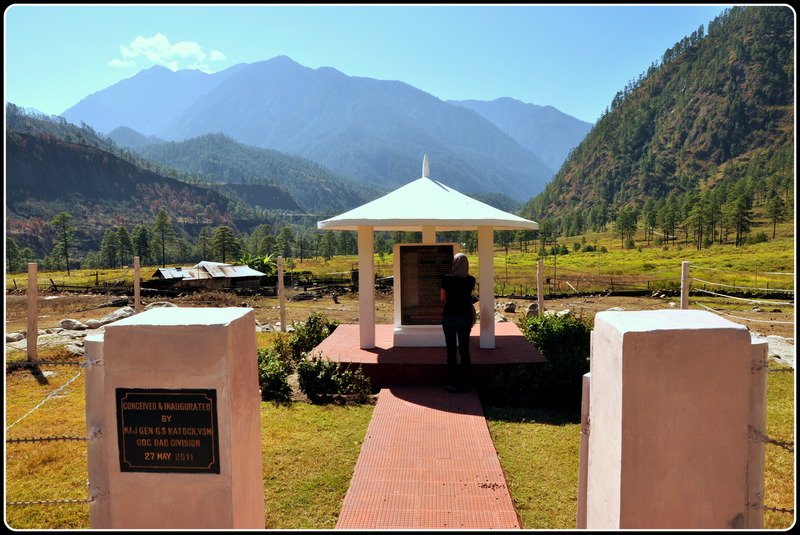 We were standing in front of a newly built memorial that the Lohit Brigade had constructed on the Namti plains, overlooking the Lohit River, where most of the crossfire had taken place 50 years ago. 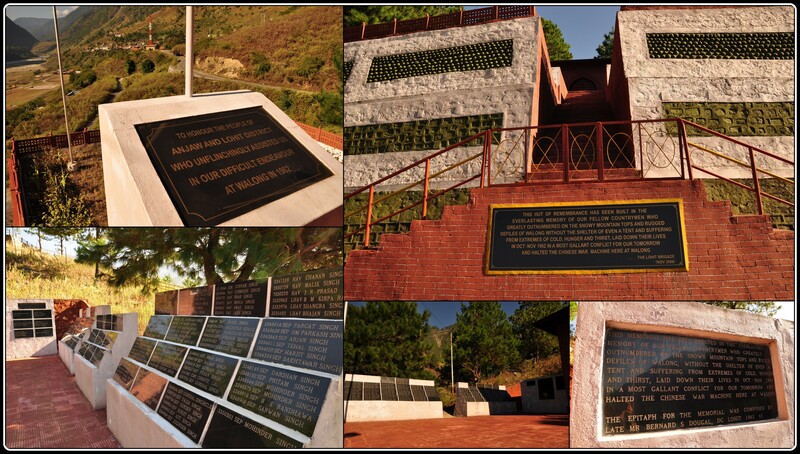 The black granite stone tells, in a poignantly written tribute, the story of the “bloody nose” that the Indian Army gave the enemy and the pledge that “Walong will never fall again”. 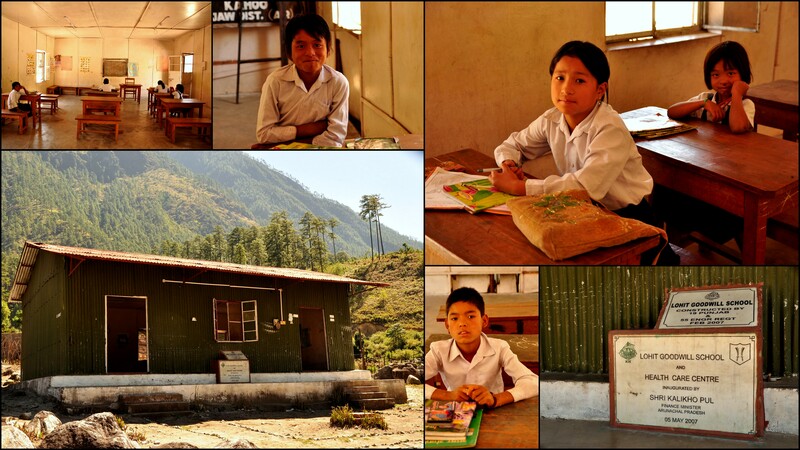 The previous day we had started early from Tezu, the district headquarters of the Lohit district. Leaving behind the shaded avenues and the spacious government quarters, we took the road out of Tezu to Demwe. It was only past 7.00 am, but was warm enough for us to throw away our sweaters. 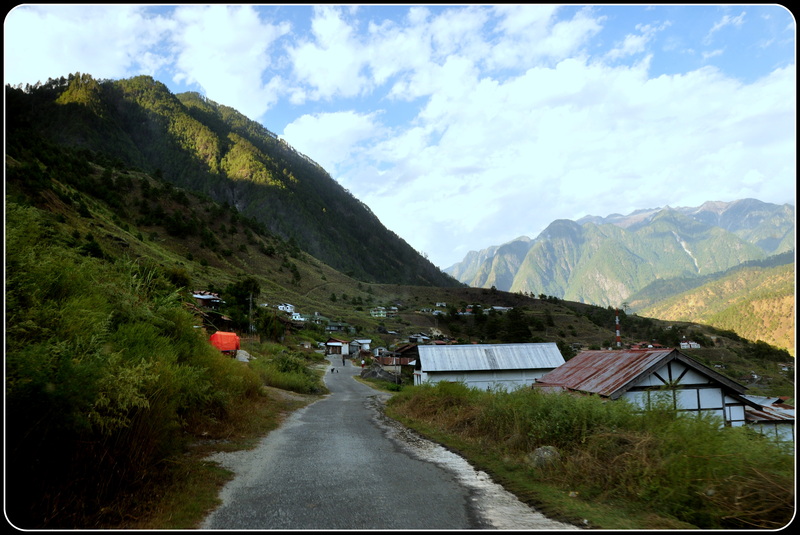 We passed the road that wound up to the Tafragam village and passed hordes of school girls on cycles making their way up to Vivekananda Kendra Vidyalaya in Tafragam. 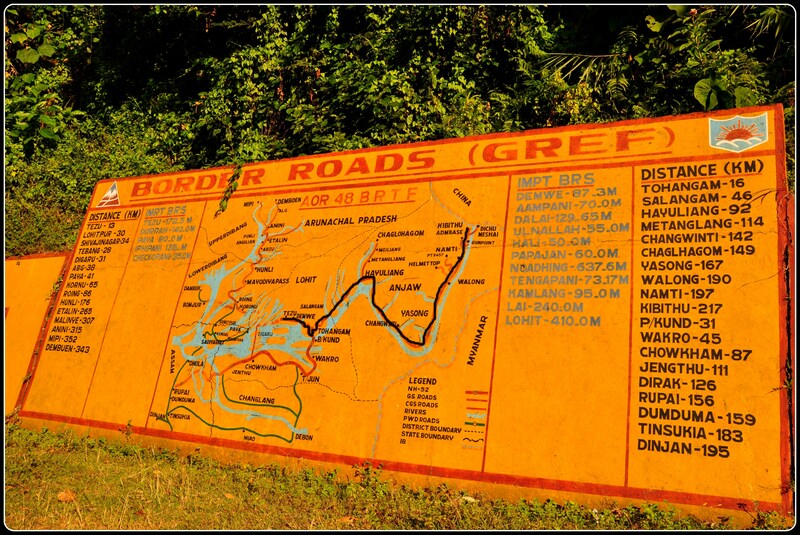 Just before the Demwe bridge we passed a map of Arunachal Pradesh that had been elaborately painted on to a wall by the Border Roads also known as GREF in these areas. Before our journey to Arunachal we had scoured the net and book stalls for maps, but never did we come across such a neat map. 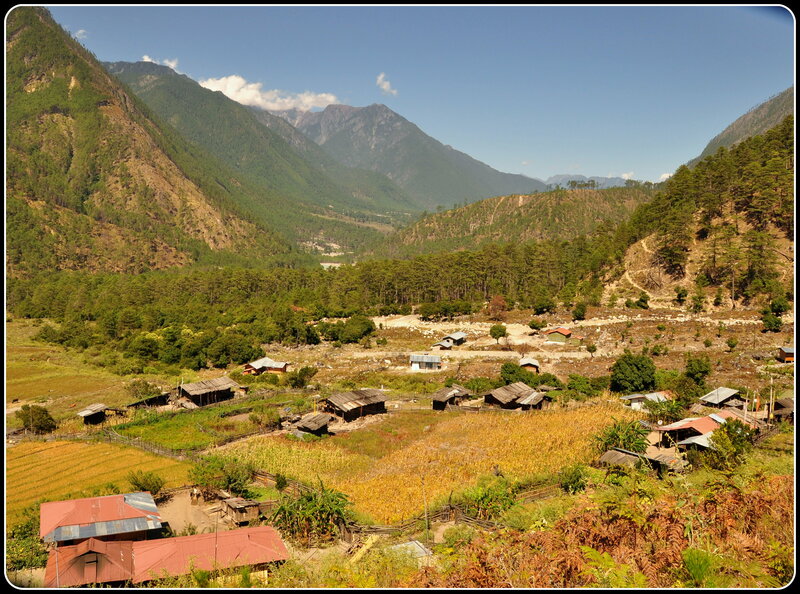 The map showed the distances from Demwe to most of the major villages and towns across Arunachal Pradesh. 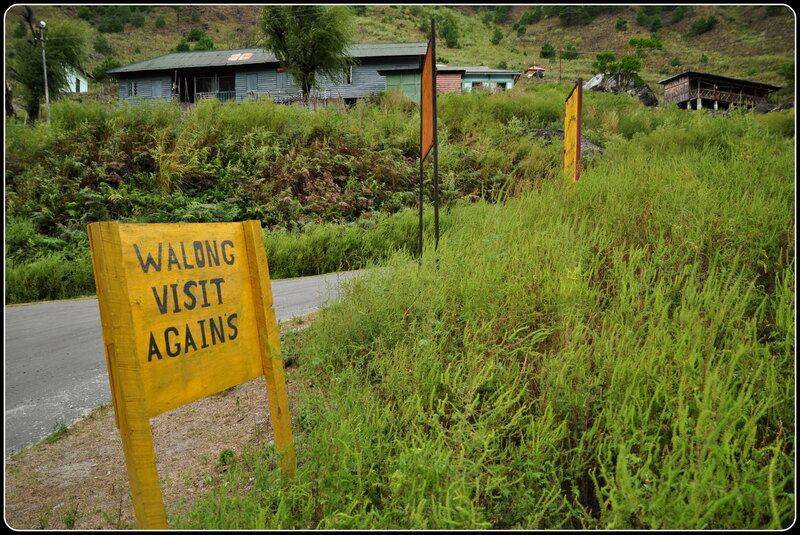 According to the map, we had 190 km more to cover to reach our destination – Walong. Further up the road, another sign reminded us that the ‘hill sector’ had started. We reached a Y-junction. 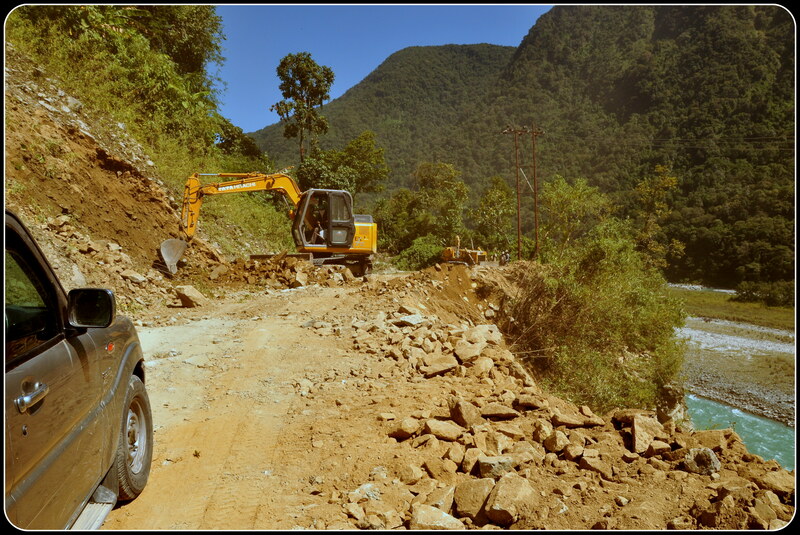 Here the NH 37 coming up from Chowkham via Parasuramkund joins in on the journey. 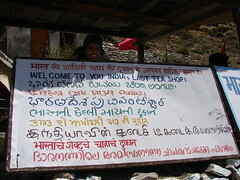 We climbed up the road, moved ahead of the the Hawa pass and reached the Hawa army camp. 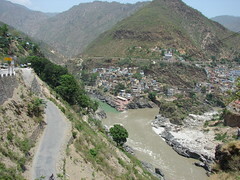 Just above the army camp was a view point. We got down from our Scorpio to spend some time at the viewpoint. The views from here were amazing. 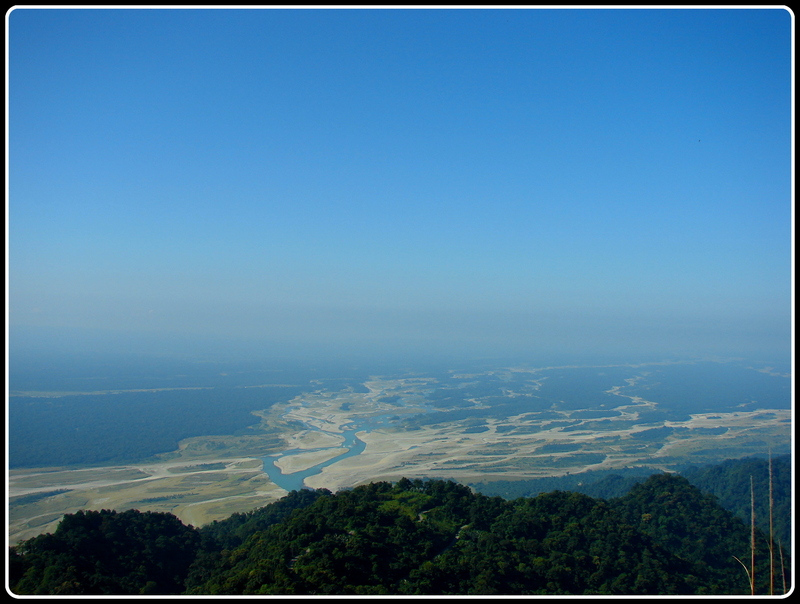 The panoramic view of the magnificent Lohit valley spread across our eyes. 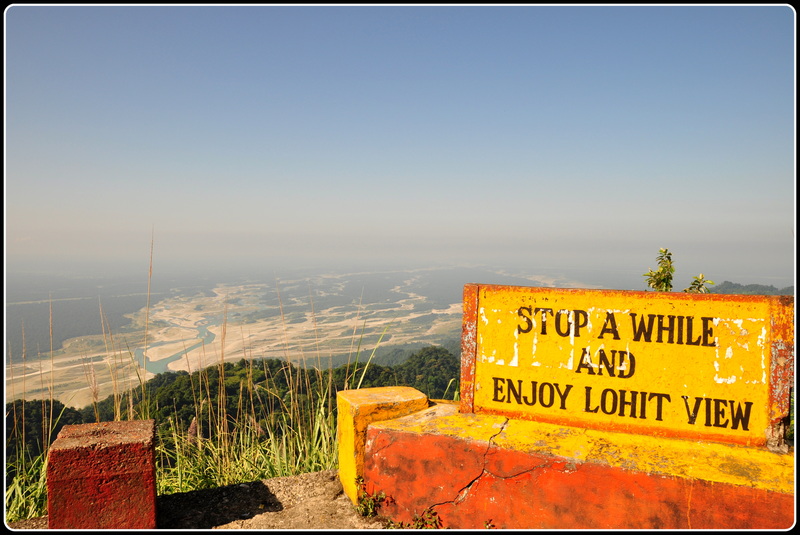 Aptly named the Lohit view point, Jayantoda said that this place was best known for the sunset and sunrise. 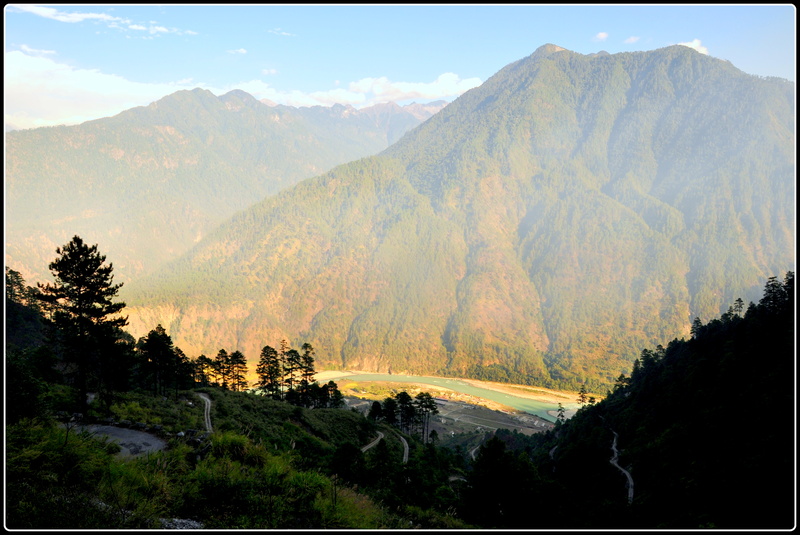 The Lohit River lay there glistening in the early sunlight. There was very little water in the river and the white sand banks stood out in contrast with the numerous shallow water channels. 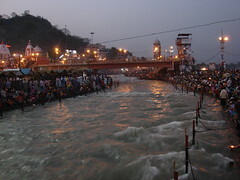 Further left we could also catch a glimpse of the Parasuramkund and the newly built bridge across the river. 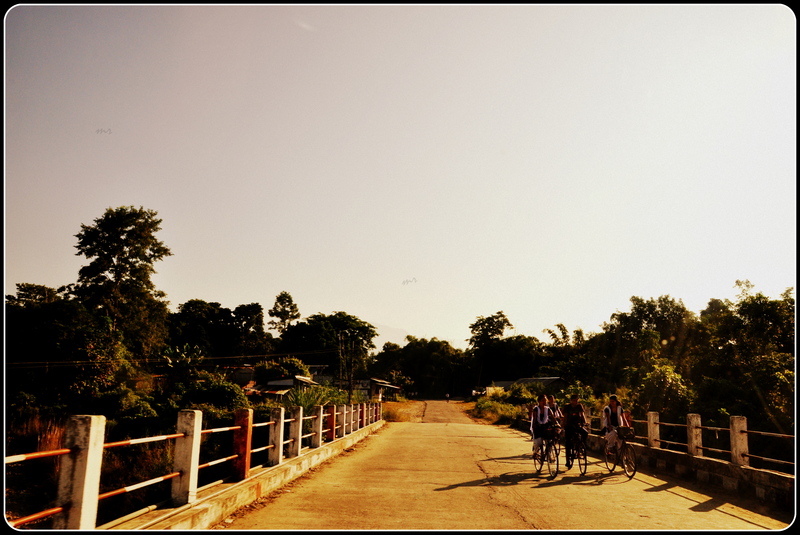 That bridge led to Wakro, our home away from home. 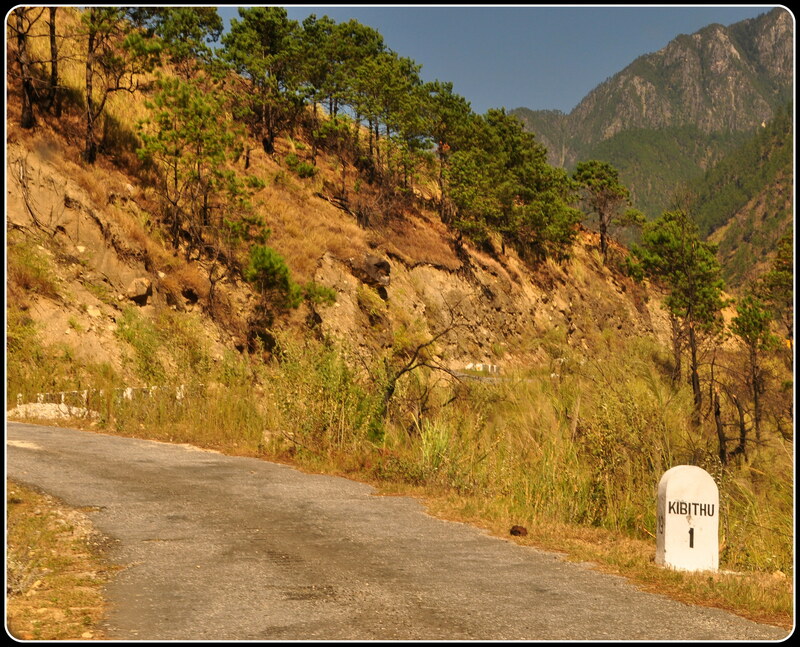 Lohit is the farthest eastern most tributary of Brahmaputra. 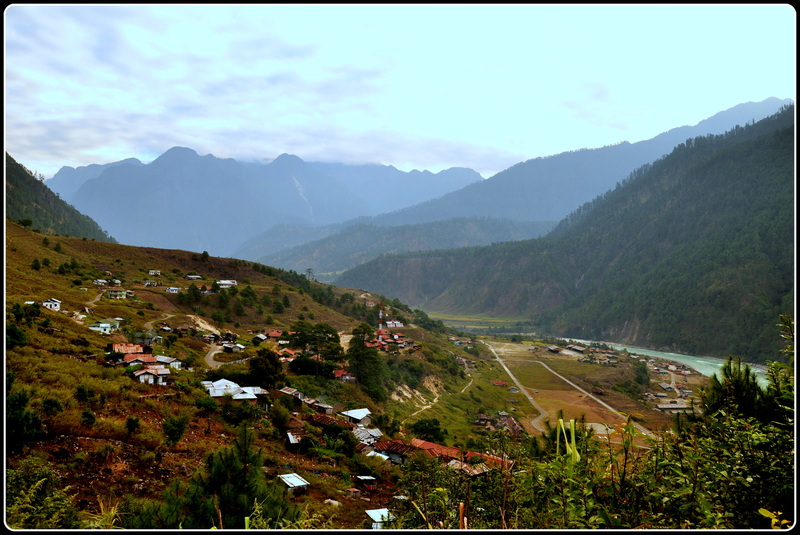 The Lohit River originates from the Tirap Phasi ranges in Eastern Tibet and enters India through Kibithu, a small village lying at the border. 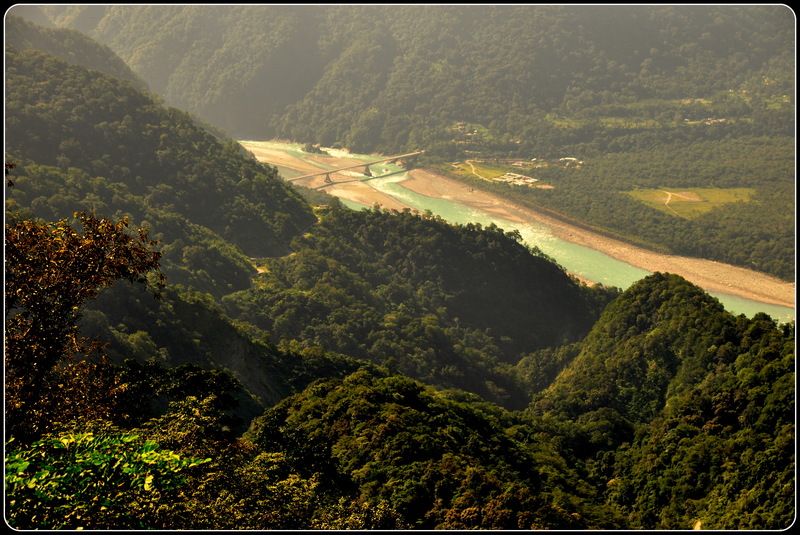 After entering India, the river traverses though the Mishmi hills of the Anjaw and Lohit district and joins the Brahmaputra after travelling for about 200 km through the red laterite soils of the Lohit basin, thus giving it the name – the ‘river of blood’. 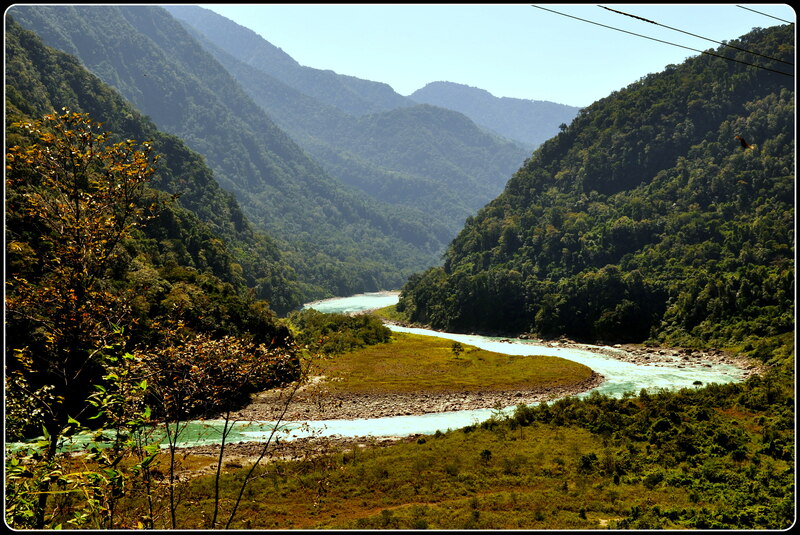 On our journey to Walong, we would be tracing the Lohit River back to Kibithu where it enters into the territory of India. 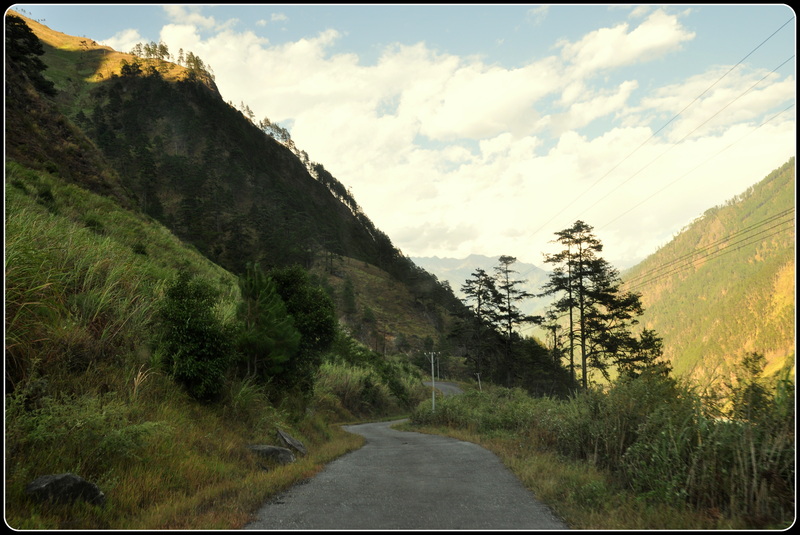 From here on, the route snakes up and there is not much for company other than the high-ceilinged mountains and the feisty Lohit river playing a constant consort all the way up to Walong and beyond. And there are a good 200 km of near empty road ahead all the way to our destination. Occasionally, we came across the odd jeep – this is not classic car territory – or a bike. 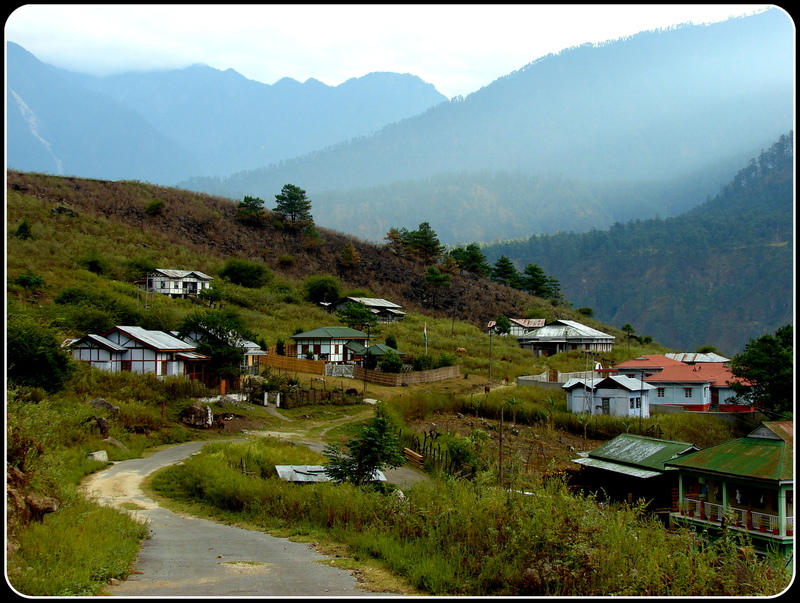 Tourists are a rarity in these parts and most of the Sumos and Scorpios are busy ferrying locals from the many far flung villages higher up to Tezu and Tinsukia and back. We were ourselves in good hands with both our Scorpio and its driver, Jayantoda, as seasoned as the other. The one other traffic of note was the small convoys of Army trucks that were, customarily, given the right of way. 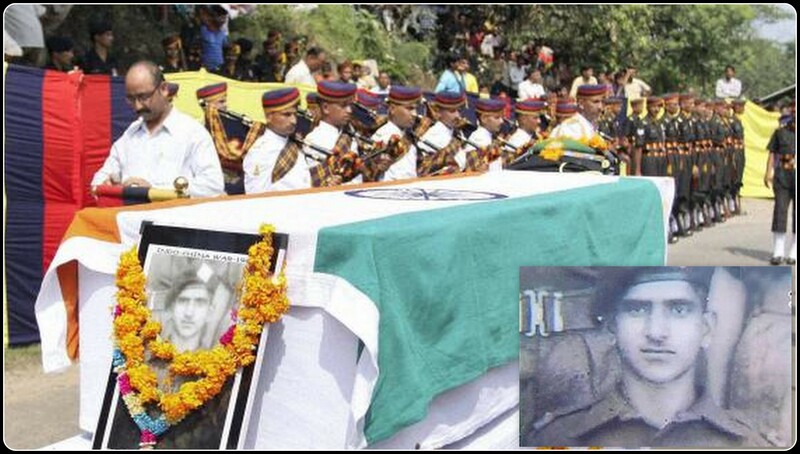 Whenever an army truck came against us Jayantoda would ask the driver at the head of the convoy, with a gesture of his hand, the number of trucks in the convoy. And the army driver would, in turn, gesture with his hand the number of trucks in the convoy. 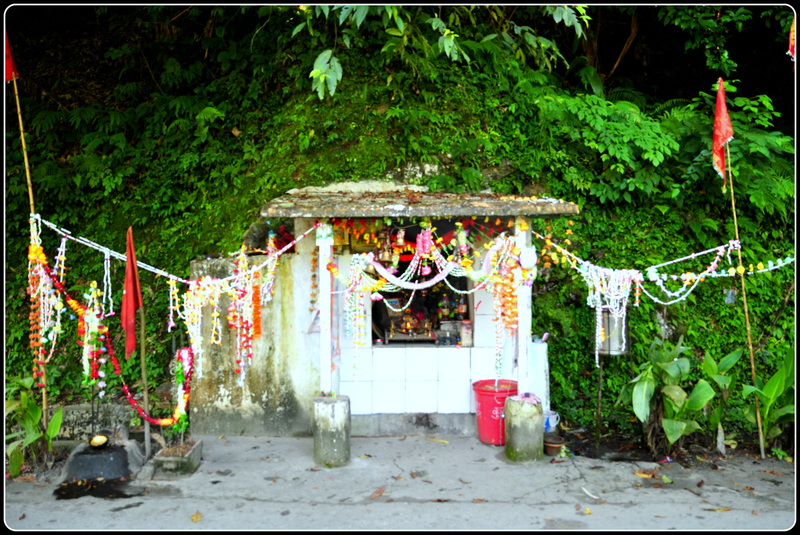 We crossed the ‘Udayak Pass’ and then came to a small shrine that was built by the road side. A place where accidents occurred frequently, the locals had built this shrine so that the travellers could pay respect to all the Gods and Goddesses before commencing on their journey to the eastern most part of the north east. We prayed and paid our respects, to all those Gods and all those nameless fellow travellers who had lost their lives, for our safe journey. By 9 am we rolled into a small village, Salangam. Jayantoda had planned our breakfast here. And moreover the next big village was Hayuliang, 2 hours and 46 km away. 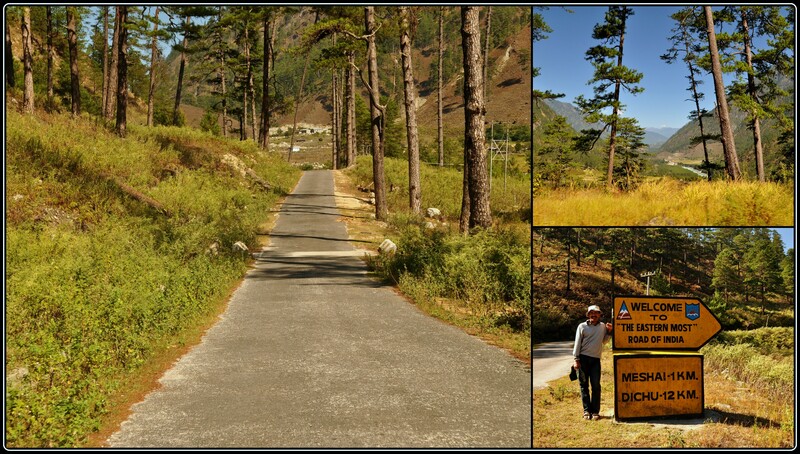 After a simple breakfast of ‘roti-dal-onion-chilly’ we were on the road again. There was something very odd about the vegetation in these areas. Every tree, plant, shrub and undergrowth looked as if they were on steroids. The ferns looked liked palm trees and the humble bamboo thickets were giant in size. Were the cattle on steroids as well? 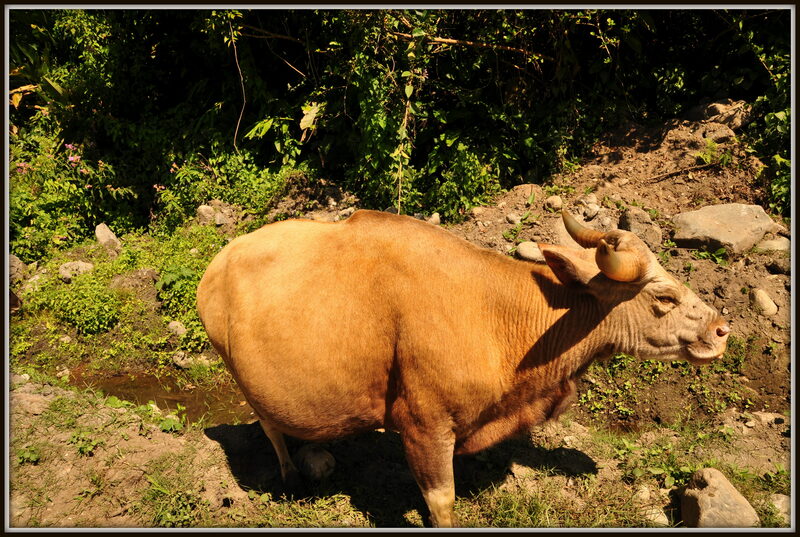 Right in front of us stood a fat cow-buffalo hybrid species. Our Scorpio came to a sudden halt and Jayantoda with all his enthusiasm pointed out and said ‘Mithun’. I was not expecting Mithunda, of all people, to groove to the tunes of ‘Disco Dancer’ in a remote village in Anjaw district. 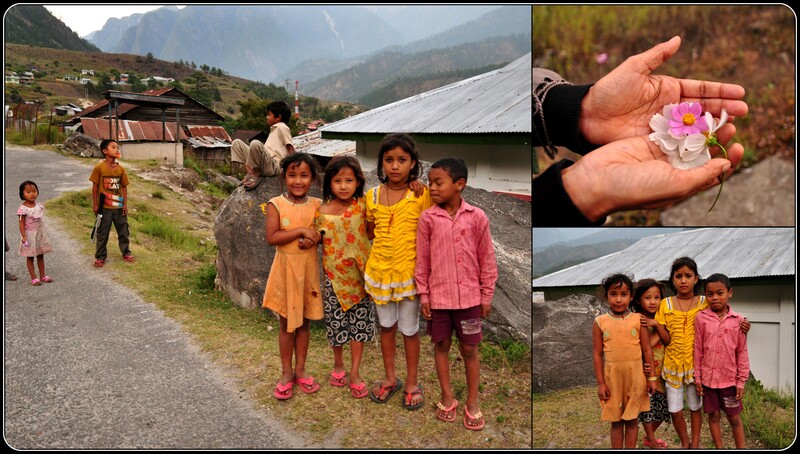 Well, our Mithun was munching away on a green patch on the road side, totally unaware of its new found attention. 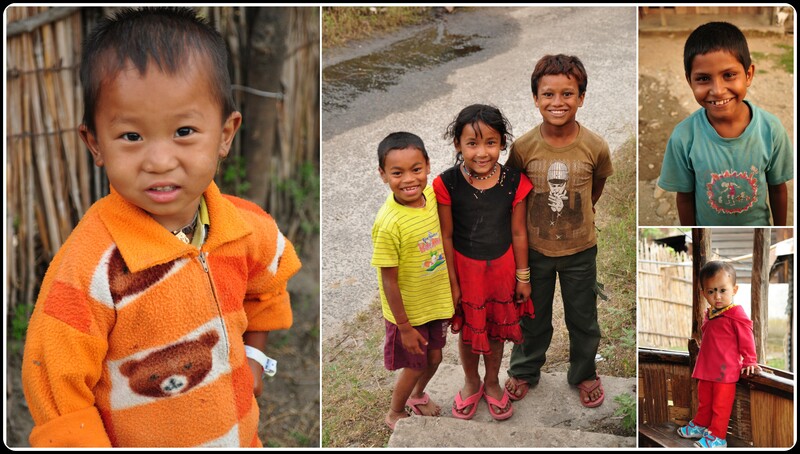 The Mithun are reared for meat and are highly preferred among the tribal people of North-East. Mithun is also used as a ceremonial animal in sacred traditional functions and as a gift to the bride in weddings thus playing an important role in the social and cultural life of the tribal people of North-East. 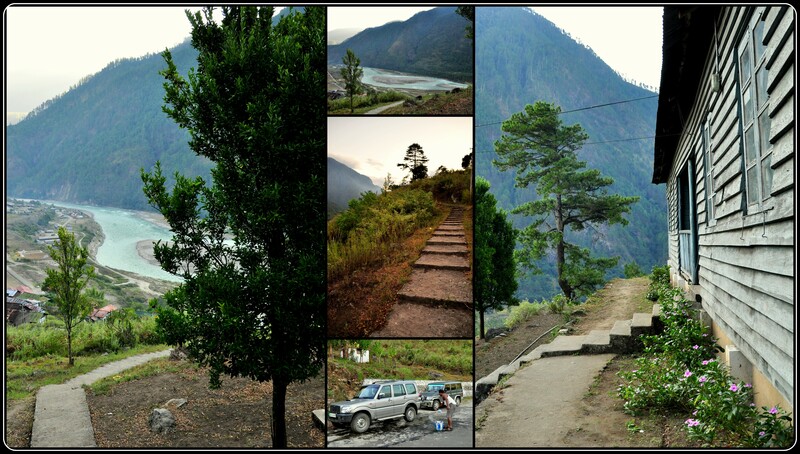 Leaving our Mithun behind, we drove further. Other than Hawai, the district headquarters of Anjaw district, Hayuliang is the biggest town en route to Walong. We stopped at the small fuel station at Khupa near Hayuliang to tank up our vehicle for the remaining 100 km drive up to Walong. All along, Lohit was playing a loyal companion. Gushing loudly at times showing its true blue colours, turning a more paler turquoise on a few occasions, changing to a more greener hue and gelling well with the verdant surroundings, and on a very few occurrences turning to a more slaty black in the many whirlpools. On the way we came across a lot of construction workers sweating themselves, toiling in the sun, trying to pave a better road for travellers like us. We made a pit stop near the bridge to Hawai. 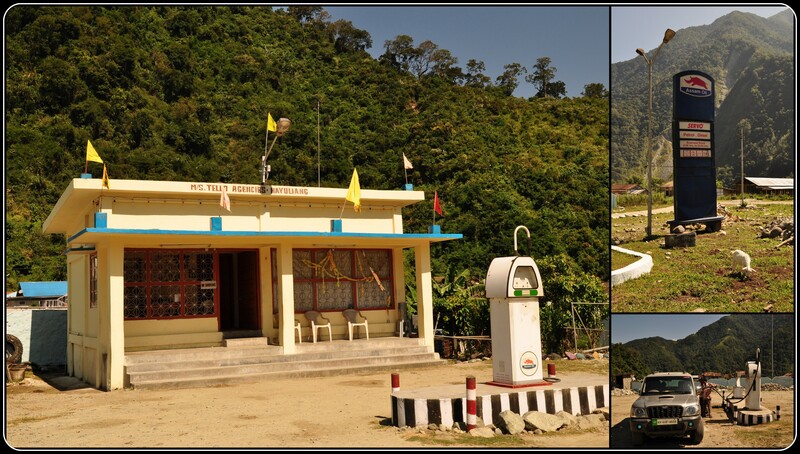 The district headquarters of the newly created Anjaw District, Hawai is situated on a hill across the Lohit River. Promising ourselves that we would visit Hawai on our way back from Walong, we took a few snaps and continued on our journey to Walong. Walong was about 50 km from Hawai. 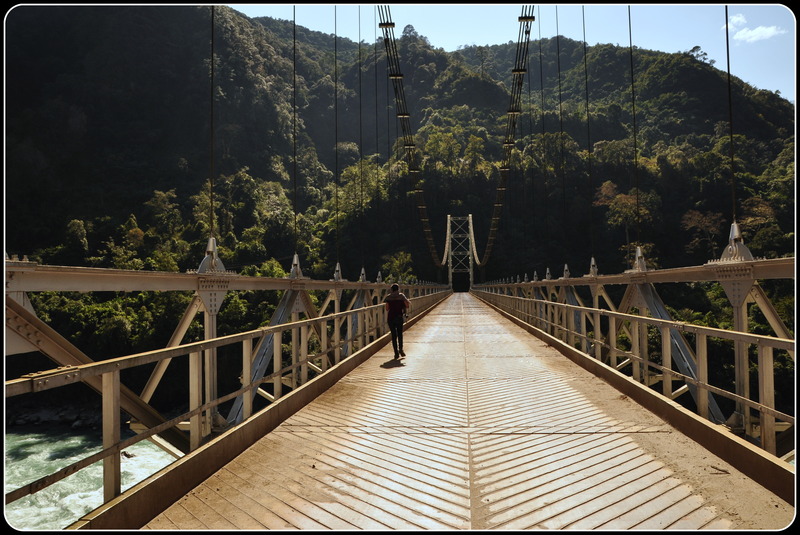 All throughout, the route was interspersed by sturdy metal bridges. 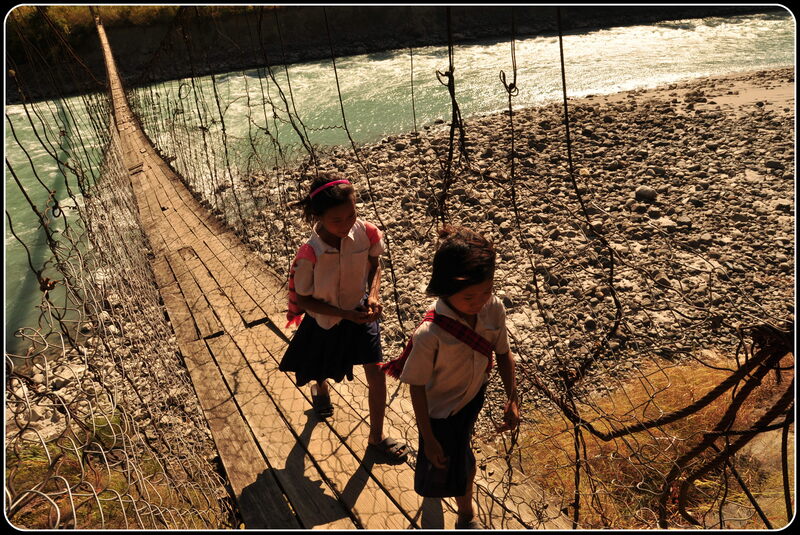 A lot of these modern bridges are built by the Indian army and Border roads organisation. 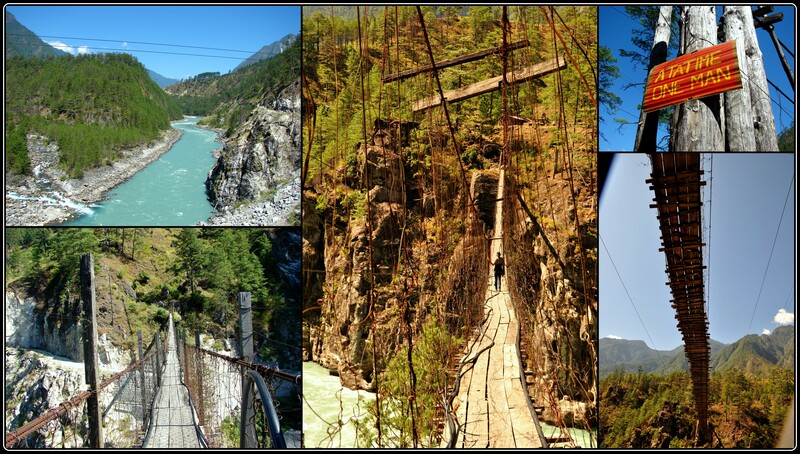 Other than these nondescript bridges, the many hanging bridges across the charging Lohit river are bound to catch one’s attention. We stopped at a couple and tested our guts and our resolve. 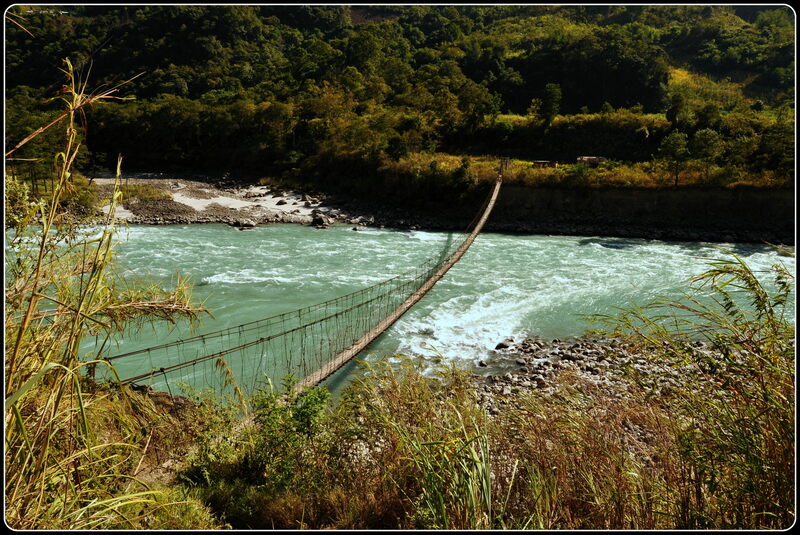 Some of the hanging bridges we crossed were made of bamboo and wooden planks, apart from the metal cables that run along the side and connect it to the ends. Leaving behind my acrophobic partner with Jayantoda, I tried crossing a fairly long hanging bridge. The floor of the bridge was creaking under my clumsy step and the entire bridge swinging in tandem. 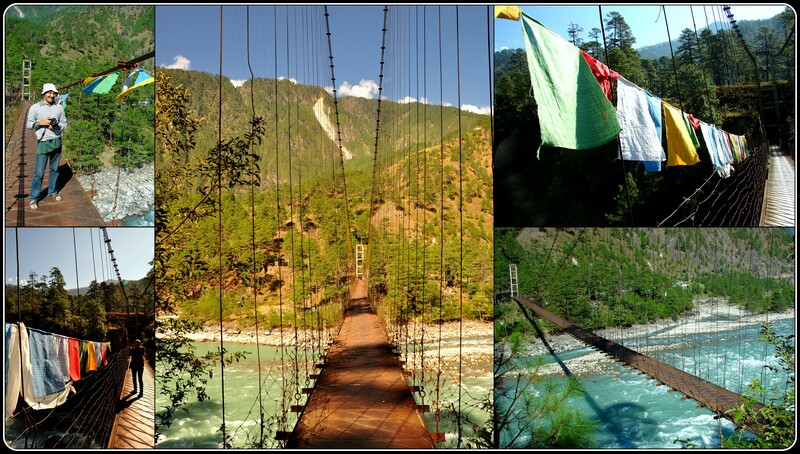 Below, through the gaps of missing wood planks, the mighty turquoise Lohit river was gushing and rushing loudly, leaving me breathless. And then a couple of school children came running along the bridge looking queerly at me and perhaps amused at my discomfort. 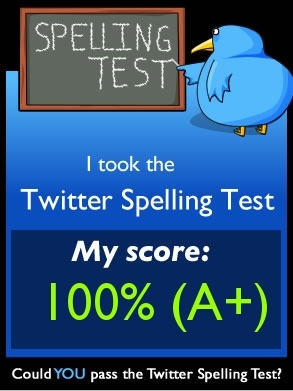 Well, practice does make one perfect. But what about fear of heights? Must be non-existent in these places. We drove into Walong by 3 pm but it looked as if it was just before sundown. In the muted evening sun, however, there was enough of the town to catch a glimpse of. The first thing you would notice here is the silence. 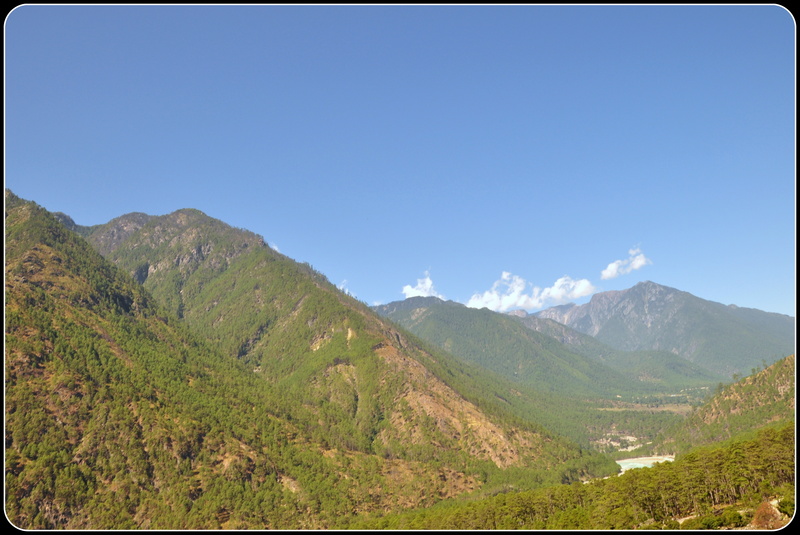 Other than the odd shout from a bunch of kids playing nearby, all we could hear was the unrestrained gurgle of the Lohit in its mad rush from the Chinese mountains up above. 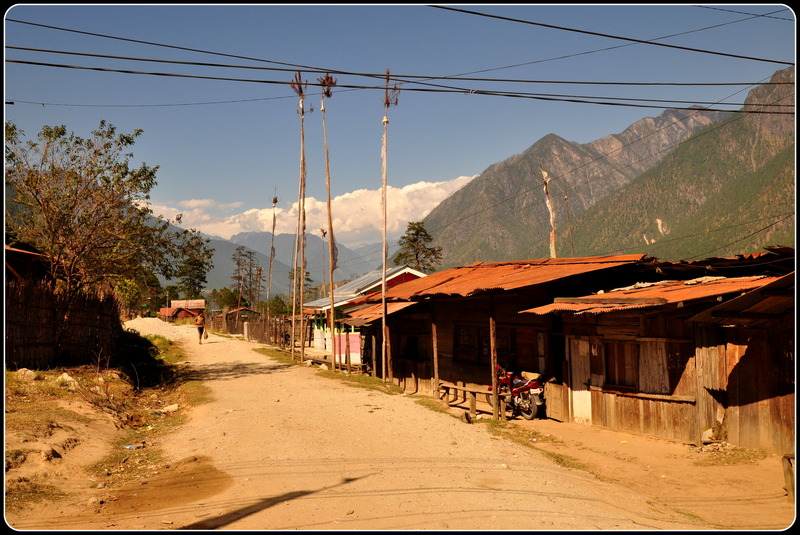 The small town of Walong is all about the settlement on either side for a few hundred metres. There are shops in a row on one side of the road and houses complete the line up on the other. The smattering of small structures apart, the only major signs of habitation is the large army base here. 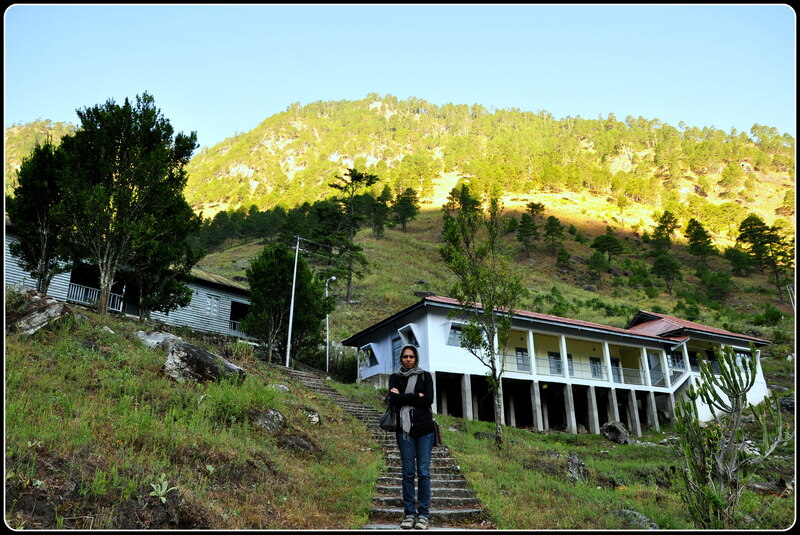 The road splits and one led us up towards the side of the hills and to the Circuit House above. We were lucky to get a booking here for there is virtually no accommodation option otherwise. For the lone stay option, the Circuit House is delightfully good. The location, for one, couldn’t be better. From the vantage point above the Walong town, the rooms looked out on to the mountain peaks all around and the valley below. In the distance, by its banks, the army settlement was a constant reminder of how sensitive a place it still was, despite all its serenity and beauty. As with all circuit houses, the warmth of the staff and the homely taste of the food is what sticks with you. But unlike many, it was uncharacteristically clean with spacious well appointed rooms with an uninterrupted power supply! We had not had our lunch, so we went in search of food, as the kitchen was not yet open at the guest house. 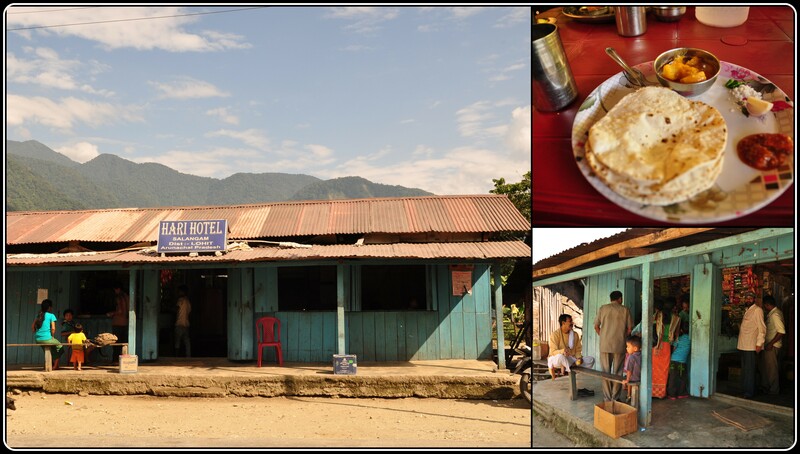 After buying the staple food of bread, jam and butter, we walked along the sparsely populated main road of Walong – a few shops were still open, a PCO, a provisional store, a tea stall and a barber shop. Men and women were seen huddled together around chatting, kids played in groups and the sun kept going down. 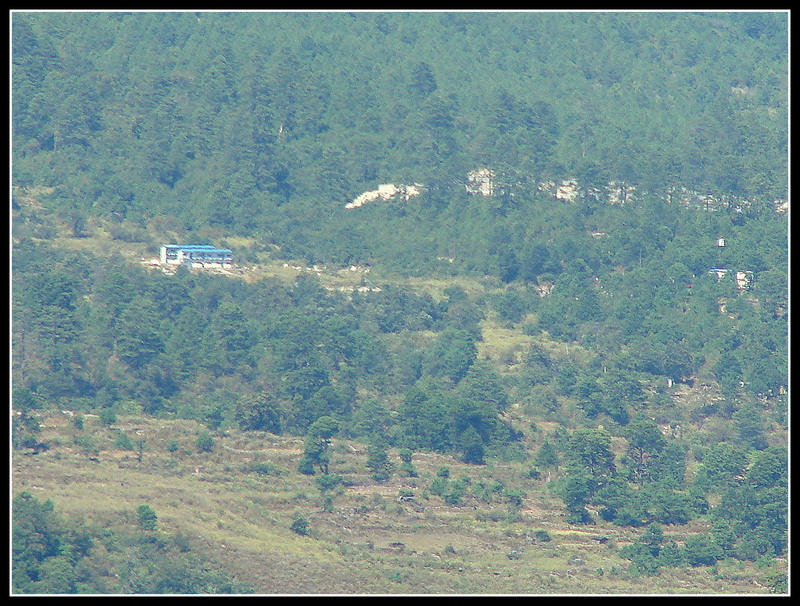 On the bank of the river, the army quarters spread out, the helipad standing out in contrast with the decorum of the camp. 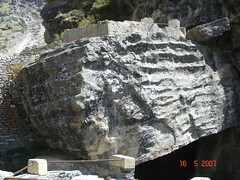 We climbed back to the circuit house through a short cut from the market, climbing up a steep flight of stone steps. 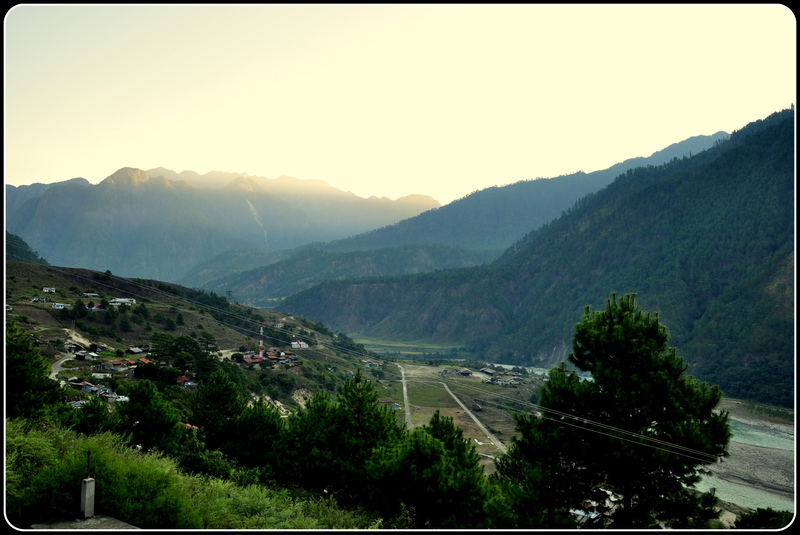 As the last rays of the sun lit up the mountains and the river, the first electrical lights of Walong came on. All night long, the chirping of the crickets and the gush of the Lohit completed the background score. We had a busy day tomorrow. 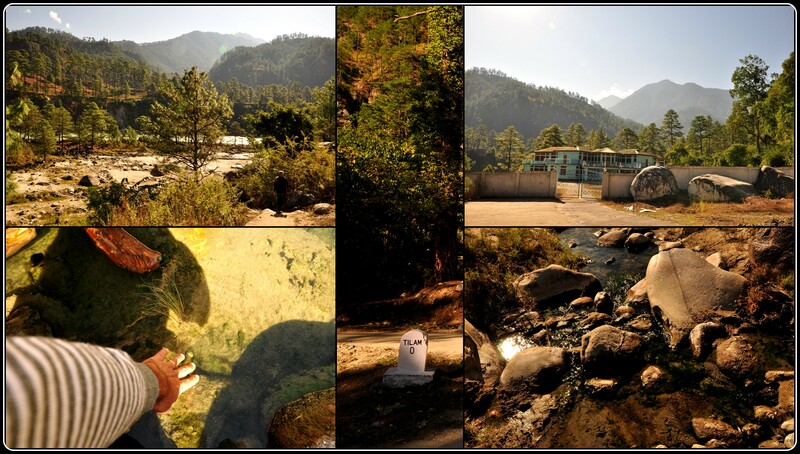 For we had to pay our respects at the War Memorial, visit the hot springs at Tilam and travel on the eastern most road in India and visit the villages of Kaho and Kibithu located further ahead near the border. Before we knew, sleep and fatigue caught up and we dozed off.